Red Dead Online, the online multiplayer mode of Red Dead Redemption 2, has finally gone live in its beta yesterday, at least for those who purchased one of the game’s Special Editions, allowing players to finally experience the game’s mechanics in an online environment. The mode also features plenty of content that can only be accessed by spending Gold Bars, and it seems like it takes some time to earn a single one by playing through the game regularly. Reddit user UnavailableIDs calculated that it takes 500 minutes, around 8 hours and 20 minutes, to get a single Gold Bar if each completed series rewards players with 0.02 nuggets. 100 nuggets are required to make a Gold Bar. You need to get 100 nuggets to do one gold bar. You get in between 0.02 and 0.04 ( 0.02 gold bars = 2 nuggets ) from series ( deathmatch, races etc ) which take 10 mins each or less. Assuming you always get 0.02 and there’s no loading time it takes 50 games ( 500 minutes ) to get 1 gold bar. That makes 8h and 20 mins, and that’s assuming you get the worst nugget reward and you always reach time limit. Making matters worse right now is that there’s no way to purchase Gold Bars from the in-game store, as it will only open at a later time. 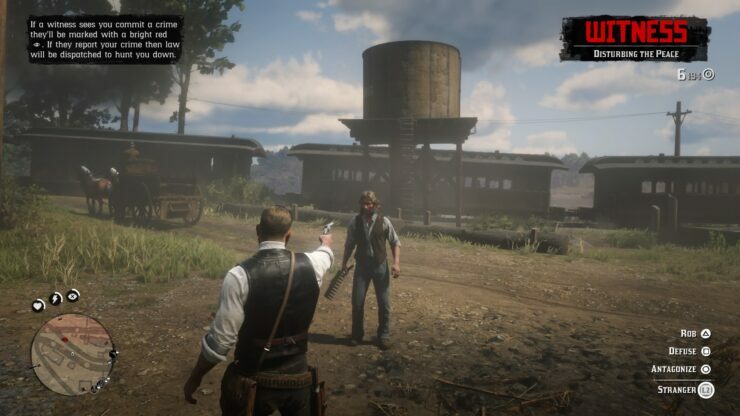 You may notice some areas of the in-game menus are not yet accessible or available during this early period of the beta, such as the Red Dead Online in-game Store which will eventually open up to provide the option of purchasing gold bars to directly acquire cosmetic items like Camp décor, or a special style for your weapons. Red Dead Redemption 2 and Red Dead Online are now available on PlayStation 4 and Xbox One in all regions.